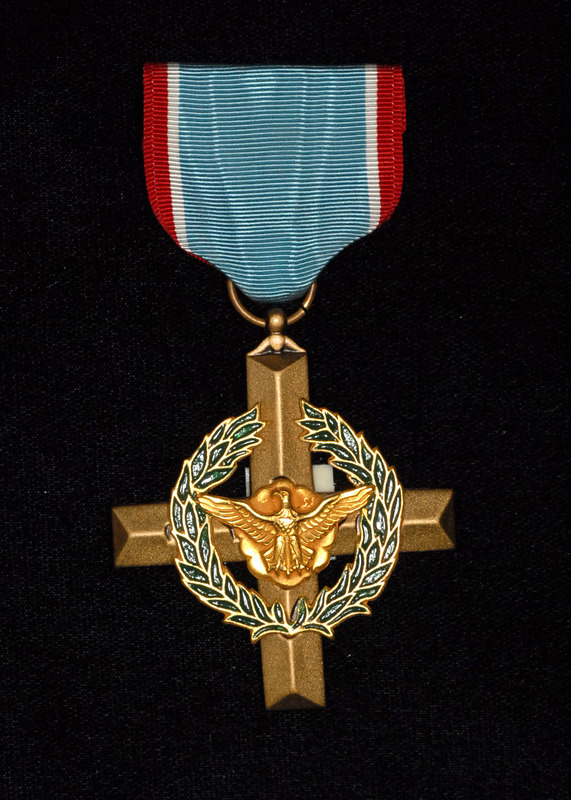 The President of the United States of America, authorized by Title 10, Section 8742, United States Code, takes pride in presenting the Air Force Cross (Posthumously) to Staff Sergeant Eugene Lunsford Clay (AFSN: 18497841), United States Air Force, for extraordinary heroism in connection with military operations against an opposing armed force as an HH-3E Flight Engineer of the 37th Aerospace Rescue and Recovery Squadron, 3d Air Rescue and Recovery Group, DaNang Air Base, Vietnam, in action in Southeast Asia on 9 November 1967. On that date, Sergeant Clay attempted the night extraction of a ground reconnaissance team after his helicopter had been severely damaged. Two other helicopters had been shot down and a third extensively damaged in previous attempts. 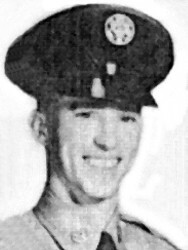 During the rescue attempt, Sergeant Clay unhesitatingly exposed himself to hostile fire to assist the survivors to the aircraft. The hostile forces closed in quickly, and as the damaged helicopter departed, it was shot down. Through his extraordinary heroism, superb airmanship, and aggressiveness in the face of hostile forces, Staff Sergeant Clay reflected the highest credit upon himself and the United States Air Force.